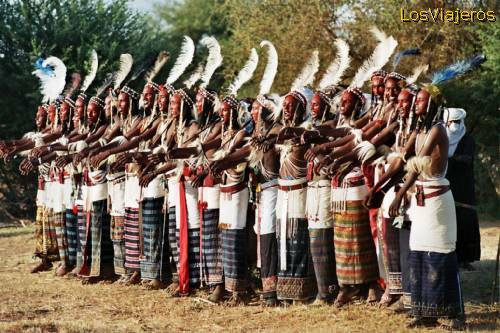 Gereewol party - Bororo Tribe -Niger: Gereewol takes the form of a series of dances, in which young Wodaabe men parade their beauty before the women of the tribe, who select the most appealing, judging them on their looks alone. The winners are rewarded with a night of love with the judges. Tribu Bororo o Woodabe - Niger Bororo Tribe or Woodabe -Niger "Index"